List of Smartphones to Get Android 8.0 Oreo, are you in the list! Android 8.0 Oreo is official now. Google finally released the latest and improved mobile operating system, Android Oreo. Yes, this time Oreo, naming after another sweet item. The latest android version will be 8.0 and currently runs on beta mode. The beta mode will runs for few weeks, after that will be available for public use. 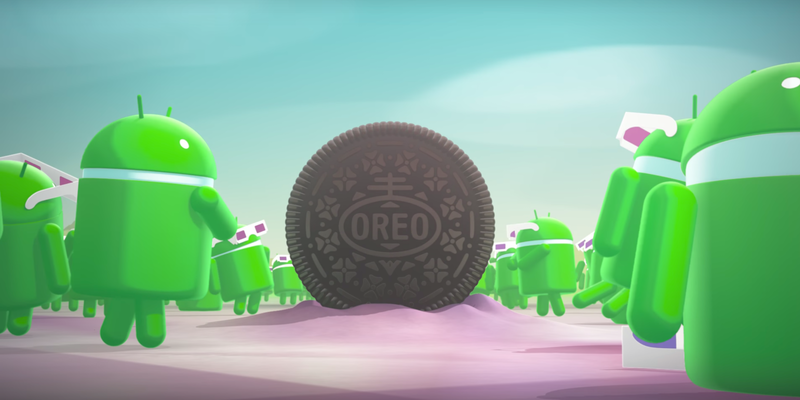 Now the question is, which devices are going to get android 8.0 oreo update? Is your smartphone will receive the update? We are here with the list of smartphones that going to get the latest Android O update. Following are the phones, will get Android 8.0 Nougat update when it opens for roll out. Google Pixel and Nexus devices are first to receive any android update in the first place. Here are the list of Google own devices to receive Android O OS update. Many Samsung devices are in the list to get the latest android oreo update. Samsung got a huge numbers of smartphone series but not every series is going to get the update. For now, these smartphones are in the list, rest will be updated when it confirms by Samsung. Most of the high end phones of Sony will receive android oreo update. Here are the confirms list of devices of Sony which are going to get android 8.0 oreo os update. HTC got many smartphones but sadly we have only good news for one device only. There are no confirmation for other HTC phones but we expecting many more devices will get the Android 8.0 Oreo update. Few OnePlus devices are in the confirms list, will get latest android 8.0 oreo update. We will update about other OnePlus smartphones when the company will confirms. For now the following phones are going to get the update when it rolls out. Now Nokia is in the race of Android phone and already released many attractive and competitive smartphones. Here is the list Nokia phones which are going to get Android 8.0 Oreo update as soon as it rolls out for public use. The list will be updated accordingly when other devices will be confirms for getting Android 8.0 Oreo. Is your smartphone are in the list above? If not, then wait for it to come or alternately you can have chance to use the os as a custom rom. Wait few weeks to end the beta process, there after will enjoy the latest Android O os update.